Are you preparing to take the TEAS exam, and you’re looking for test prep help to make sure you get a high score on the exam? Or maybe you’re just now finding out about this important test, and you’re looking for information to help you understand what the TEAS test is all about and how it works? In either case, you’ve come to the right place. 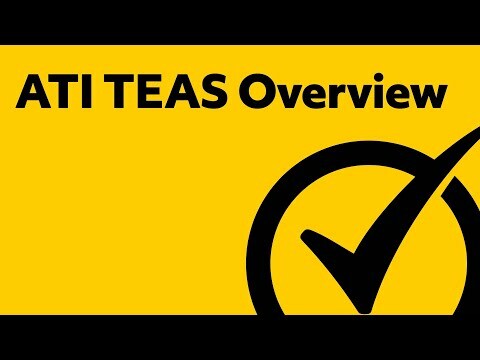 You’ll find all the information you need about the ATI TEAS 6 exam right here, and if you’re looking for TEAS prep help, just follow these links for lots of free TEAS test review videos and TEAS practice questions that can help you ace the exam. Becoming a nurse takes hard work. If you’re on this page, you know this for a fact. There are all sorts of things you need to know in order to perform your future job well, all sorts of skills you have to master before you can even think of setting foot inside of a hospital or clinic. This is why you’ve decided to attend nursing school, and why you’re about to face one of the toughest parts of the application process: the ATI TEAS test, also known by its full name, the Test of Essential Academic Skills. For starters, you can think of the TEAS as you would any other standardized test out there. Much like the ones you took back in high school, the point of the TEAS is to gauge your knowledge. More specifically, the TEAS’s main objective is assess what aspiring nurses-in-training know prior to entering nursing school. It’s basically like an entrance exam. Every aspiring nursing student in the United States is required to take the TEAS. In fact, every US nursing school and every existing program or field wants your TEAS score to be included within your application. You cannot apply to nursing school without first taking the TEAS Version 6, specifically. If you’ve taken any past versions of the TEAS and are planning to apply to nursing school this year, you’ll find your score won’t be accepted. This is to ensure you’re able to handle the newly adapted curriculum found in today’s nursing programs. Mometrix Academy is a completely free practice TEAS test resource provided by Mometrix Test Preparation. If you find benefit from our efforts here, check out our premium quality TEAS study guide to take your studying to the next level. 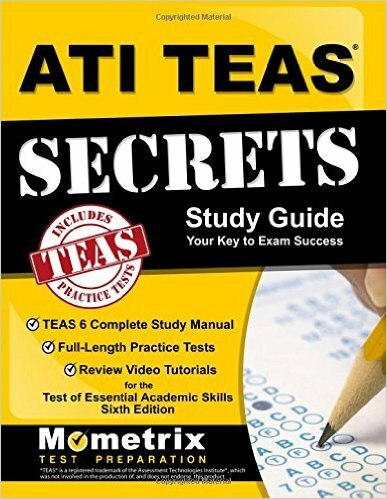 Just click the ATI TEAS study guide link below. 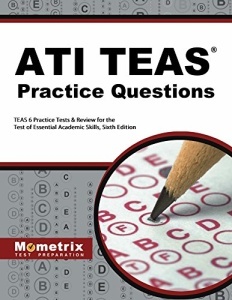 This TEAS test book contains ATI TEAS practice test questions. Your purchase also helps us make even more great, free content for test-takers. What is the TEAS test? The ATI TEAS 6 covers every subject a beginning nursing student will be expected to know upon getting into nursing school. Before we go into what these specific skills are, we want to clarify that there will be nothing on the TEAS 6 that you haven’t already seen before. In fact, the material included on the exam will never go beyond subjects you’ve already learned throughout middle and high school. Remember: the point of the exam is to gauge how prepared you are for entry-level nursing school courses. This means you don’t have to worry about seeing overly complex material on the exam. The TEAS 6 is just as long as its predecessor, spanning 170 questions total, all of which are multiple choice format. However, your score will only be affected by 150 of these questions. The other 20 sample TEAS test questions will evaluate you in a different way, as they’re meant for pretesting purposes and grant no actual points toward your score. 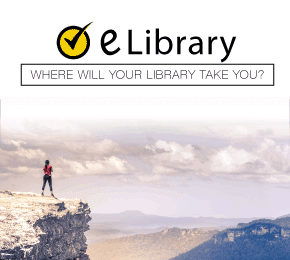 Rather, the few unscored questions you’ll find serve as what could potentially appear on future releases of the exam, and are meant gauge which questions should be included and which could be too challenging or otherwise unfitting. Each question on the exam can be split into one of four categories: English and Language Usage, Reading, Science, and Mathematics. While the amount of questions found on the test remains the same, the time limit granted to you has been adjusted slightly per section. The full time span for the test will stay a solid 209 minutes, or 3 ½ hours. However, you may receive slightly more or slightly less time to complete certain sections. To help you, we will provide you with further details on the time allotment changes as we cover each individual exam section. You can consider this portion of the TEAS test 6 to be pretty similar to the Writing sections you’ve taken on any other standardized test—minus the essay prompt. Instead, all you can expect to see are questions relating to grammar conventions and similar concepts. “Why is this on a nursing exam?” you may wonder. For starters, it will be your job to communicate with a vast myriad of patients, colleagues and higher-ups on a daily basis once you officially begin your nursing career. In order to communicate effectively, you’ll have to know the basics, which comes down to knowing how to write and form your ideas coherently. This will enable you to better realize how to respond to the various situations you’ll encounter as a nurse and pick your words carefully. 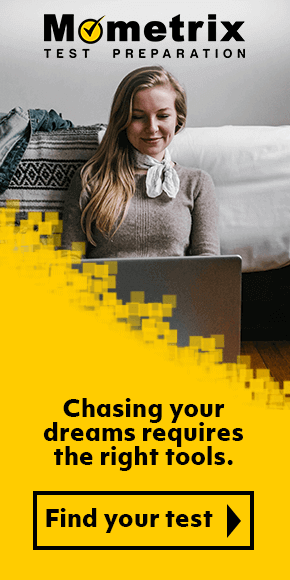 On a more immediate note, you’ll also certainly be expected to pen your fair share of essays and other reports throughout the duration of your nursing education. You cannot succeed and/or graduate without knowing how to efficiently get your ideas across. Compared to the old English and Language Usage portion of the TEAS, the question categories have been remodeled and the amount of questions pared down from 34 to 28. As a result, you’ll have a mere 24 minutes to complete the full section. Each question on the English and Language Usage section falls under one of three categories: Vocabulary Acquisition, Knowledge of Language, and Conventions of Standard English. To help you better understand what each of these categories mean and how to recognize questions falling under them, we will go over all three individually. Vocabulary Acquisition covers how well you understand the words you read. Questions under this category will ultimately test you on your ability to define words based upon their context. More specifically, you’ll be expected to read an assortment of selections and passages, and figure out how specific words are defined based on their prefixes, suffixes, and/or roots or through the way they’re used in the sentence or passage. Only six out of 28 questions will fall under this category. Knowledge of Language also evaluates your comprehension of how language can be used in writing. This category will be comprised of nine questions. You may be expected to either decide how to better flesh out or structure a piece of writing; reword a sentence’s ideas so they’re presented in a way that is easier to understand; recognize and identify difference aspects of writing from a rudimentary level; and decide whether the tone of a work is casual or formal based upon their word choice. Conventions of Standard English deals exclusively with grammar and mechanics. As you read through the passages presented to you, you will be expected to interpret the way sentences are organized, as well as recognize and potentially correct punctuation usage and spelling. Like the Knowledge of Language section, Conventions of Standard English is also nine questions long. Very rarely will you encounter any sort of standardized test that assesses your writing ability but neglects your reading ability. The two unavoidably go hand in hand. Much like you’d be hard pressed to find a standardized test that evaluates writing but not reading, you cannot avoid having to utilize your reading capabilities as you embark upon your nursing education and career. You will not be the only one sending out correspondence once you begin working at a practice or hospital. Both doctors and patients will provide you with some sort of written document, often in the form of medical documents. Knowing how to read and interpret them is the second half of communicating effectively and ensuring you will be a valuable asset to any medical staff you join (as well as fit for proper nursing education). While the Reading section of the TEAS 6 remains the same in terms of formatting, you may find its content has been fine tuned. More specifically, it has been expanded, growing from 58 questions to 64. To compensate for the subtest’s growth, the time limit has been increased to 53 minutes total. There are also three new question categories to replace the previous two found on the TEAS 5: Integration of Knowledge and Ideas, Craft and Structure, and Key Ideas and Details. Each of them evaluates a specific, complex nuance of the reading process. Integration of Knowledge and Ideas deals primarily with research and evidence. For questions under this category, you will have to fulfill such tasks as interpreting a multitude of different types of references, as well as whether they are secondary or primary; how evidence is used to back up an argument and exactly what that argument is; assess the shared elements between different types of sources; and create logical inferences based on a combination of written work and factual resources. Craft and Structure centers on the stylistic aspects of writing. You will have to read the passages, then discern the author’s stance and intent for creating the work; whether certain statements qualify as subjective or objective; how a word’s usage within the work influences its definition; and how the type of work determines its organization. Key Ideas and Details deals with the more objective aspects of writing, specifically within the realm of factual evidence and its usage as well as the structuring of persuasive arguments. To properly answer questions under this category, you may have to identify the order in which ideas are arranged; read a lengthy passage and reduce it to a brief synopsis; know how to read graphical data and interpret the information being presented; generate inferences based on selections you’ve read; pick out bits and pieces of data from a piece of writing; read and comply with instructions; and be able to recognize evidence, central arguments, and subjects of various works. It seems nursing and science go hand in hand, as it does with every other existing medical field. Much of medicine relies on scientific thought and experimentation in order to help people receive the medications and cures they need to manage their illnesses and return to some sense of normalcy. In fact, you will regularly be utilizing scientific processes throughout your nursing career, simply by knowing how the body works. By the time you finish your training, you’ll know all about how vital signs should properly function and the various signs and symptoms of a wide range of illnesses and disorders. This will enable you to properly pinpoint and diagnose malignant conditions affecting the health of your patients. ATI Testing completely understands this, which is why they have included a detailed Science subtest on the ATI TEAS 6. The full section will feature 53 questions total, 6 of which will not be scored. It will include the following question categories: Scientific Reasoning, Life and Physical Sciences, and Human Anatomy and Physiology. Scientific Reasoning deals with scientific knowledge on an elementary level. All you will have to know for this section is how science works as a process. Life and Physical Sciences deals with various scientific disciplines that relate to the natural world, including chemistry, physics, and biology. Human Anatomy and Physiology relates to the biological processes of the human body and how its different systems (such as the skeletal, respiratory, immune, and cardiovascular systems) function separately and in cooperation with each other. You would be hard pressed to find any science-based discipline that doesn’t also utilize math in some shape or form. Nursing is no exception. You’ll constantly have to keep track of numerical information when it comes to your future career, from the rates of a patient’s vitals to the precise dosage to give to a patient for treatment. Numbers will be all around you, as part and parcel of your field. Because of this, the TEAS VI has a section devoted to testing your mathematical abilities. Spanning around 36 questions in length, the Math section will assess you through two specific question categories: Measurement and Data and Numbers and Algebra. Measurement and Data deals with quantitative data—or, more specifically, various units of measurement, different types of data presentations, and several geometric and statistical properties and principles. Numbers and Algebra involves Algebraic and numerical properties. For questions under this category, you will have to work with various types of numerical expressions; find the answers to word problems addressing such topics as ratios, rational numbers, proportions, estimation, and percentages; and perform arithmetic. How is the TEAS test scored? The good news is there is no defined way to “pass” the TEAS testing. Because the exam is used purely as an evaluative tool, meant to gauge how well you’ll be able to handle nursing school curriculum, what qualifies you as “passing” the exam is ultimately up to the programs you’re planning to apply to. You will have access to your scores within 48 hours of your testing date. As it stands, the TEAS splits its scores into sections. Each question category has its own score, as well as the test sections themselves, alongside one big score compiled from your scores on the test sections. Once your scores are released, they’ll go to your nursing program of choice. If the nebulousness of what score you “should” earn troubles you, we want to assure you not to worry. Another benefit of the exam is that it’s available year-round on a weekly basis, meaning you can schedule to take the test no sooner than when you feel absolutely ready. ATI doesn’t require you to take the test on a limited number of weekends like many other testing organizations. How much is the TEAS test? If you get the score your school is looking for or above, congratulations! If you don’t do as well as you hoped, you have the option to retest. This will cost $115, the same amount as your initial taking of the exam. You will also have to pay another fee per any extra schools you wish to ship your scores to—approximately $27. We urge you to keep in mind that certain programs may have limits on the amount of retests. Whether this is your first time taking the test or one of several, we strive to provide you with all of the tools you’ll need to study to the best of your ability. This is why we have put together thorough resources to help you prepare, from the TEAS test study guide to the TEAS practice tests and TEAS flashcards. We at Mometrix Test Preparation care about your success and want to see you progress toward the nursing career of your dreams. 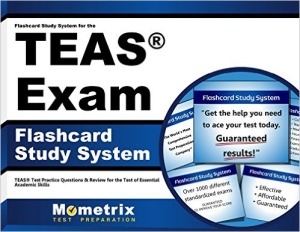 TEAS® and Test of Essential Academic Skills™ are registered trademarks of Assessment Technologies Institute, which is unaffiliated, not a sponsor, or associated with Mometrix Media LLC.